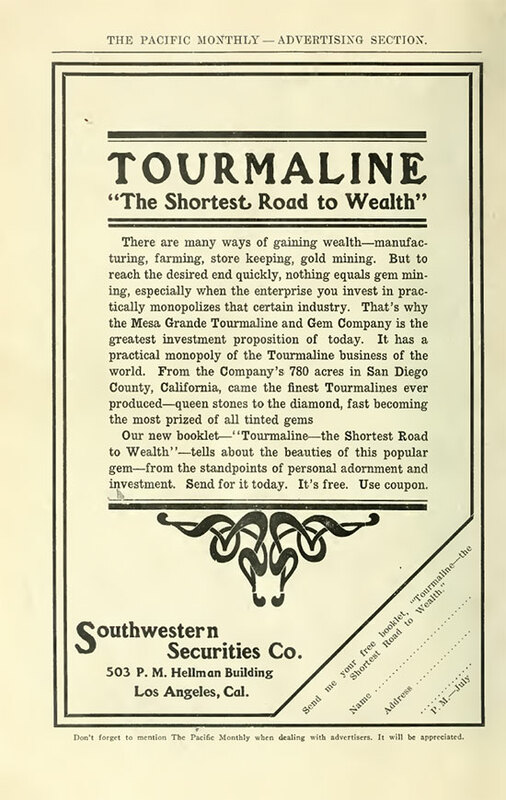 Four articles from four perspectives, regarding tourmaline in San Diego County, California, published between 1902 and 1910, in a variety of publications. 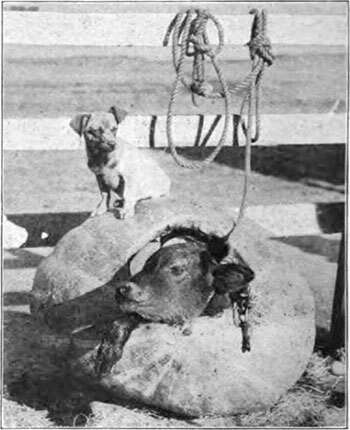 September 8, 1902), p. 748. The remarkable new locality of colored tourmalines at Mesa Grande, San Diego County, Cal., described in my last report  has continued to yield exceedingly choice material. It occurs on the same belt as that in which is found the lepidolite of Smith Mountain, and the close association of this lithia mica with the colored lithia tourmalines, familiar elsewhere, leads to a belief that there may prove to be a zone of these valuable and interesting minerals traversing this region. At Mesa Grande the tourmalines occur in a vein of mingled quartz, lepidolite, and feldspar, which is exposed by erosion for a distance of some 300 feet or more on the mountain side. The locality has been known to the Indians, who break up the rock by blasting, and thus get access to the cavities, in which the tourmalines chiefly occur. Many crystals are also found loose in a red clay, resulting from the decomposition of the rock. The story runs that about twenty-five years ago some Indian children playing around their camp in this vicinity picked lip an oddly shaped stone about 3 inches long, six-sided, and as thick as a lead pencil or thicker, which, when cleaned and rubbed, was found to he of a rich blue color, partly clear and very brilliant, like a sapphire. This, although not known or understood at the time by those who saw it, was probably the first tourmaline discovery in San Diego County. Subsequently other crystals were picked up by Indians and cowboys, who prized them for their attractive colors—blue, green, red, etc.—but had no knowledge of their real character or commercial value. Now, as above mentioned, the Indians have learned somewhat how to get them from the rock. The spessartite garnet found at this locality has already been noted under “garnet,” above. E. A. Wulfing, in a recent article,  publishes his studies on the optical properties of the Elba and Haddam neck tourmaline, giving a series of comparative optical tables. (February 12, 1904), pp. 266–268. career with the United States Geological Survey. 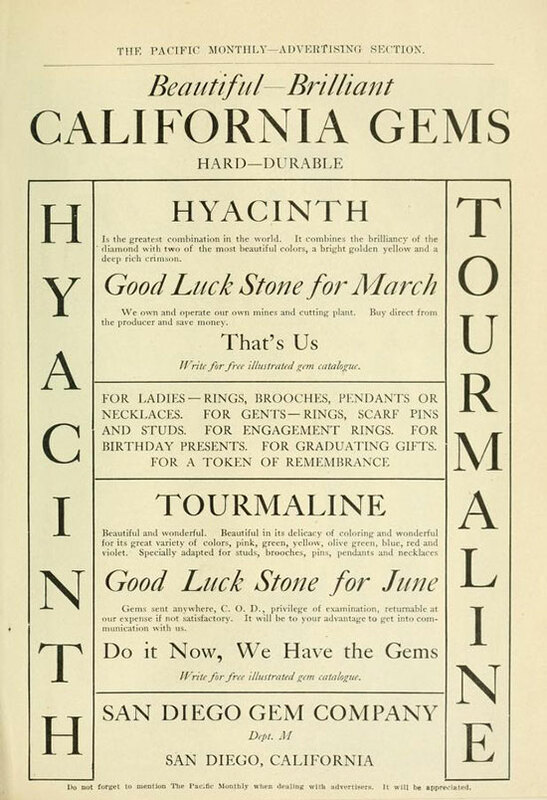 The tourmaline deposits of southern California have attracted much attention recently, owing to the development of these mines for their gem stones. A recent discovery of lilac-colored spodumene has added considerably to the interest. For the purpose of acquiring a knowledge of the character of these tourmaline deposits and of studying the associated minerals, the writer spent several weeks among these mines last summer and collected some very interesting material. In this note is given a brief account of the principal localities and of the minerals that have been found there. The writer intends to make a complete study of this remarkable field, and especially of the minerals occurring in it, many of which are of more than ordinary interest. Some of the work has already been completed  and the remainder is well under way. The gem tourmalines occur in rather large quantities, but are inferior to the Maine tourmalines both in color and in the brilliancy of the cut gems. The localities at which they have been found are comprised in an area less than thirty miles across in northern west-central San Diego County, extending into Riverside County and including portions of Smith’s Mountain and the western part of the San Jacinto Mountains. The places where working mines are located are not many and may be grouped under four heads—those at (1) Pala, (2) Mesa Grande and (3) Oak Grove in San Diego County, and those at (4) Cuahuila in Riverside County. 1. The mines at Pala consist of the famous lepidolite mine from which the well-known specimens of rubellite come and the spodumene mine, about a mile away, which has already been described by the writer. The immense deposits of lithia minerals at the lepidolite mine occur in a pegmatite dike striking across a large body of diorite and dipping towards the west at a low angle. This dike is about a mile long and has a thickness of from twenty to eighty feet. The pegmatite, in which large bodies of lepidolite and other lithia minerals occur, consists of a coarse muscovite-granite with garnets and black tourmalines. There are at least four of these large bodies of lepidolite exposed, only one of which is at present being mined. A conservative estimate of the size of this body of lepidolite, now in sight, would be 200 x 100 x 25 feet. In some parts radiated groups of rubellite occur, and near the northern end of the body quartz and feldspar become rather abundant and the deposit seems to grade into the normal muscovite-pegmatite. From the November 1905 edition of Sunset. The pink clay—so often associated with gem tourmalines—occurring here has been determined to be halloysite. A large deposit of pure amblygonite, showing broad cleavage faces, has been uncovered. Numerous well-terminated green tourmalines, with complex combinations, have also been found, as well as several pounds of native bismuth and its oxidation products, bismuthinite and bismutosphærite. The bismutosphærite occurs in grayish-black masses and also as a yellow powder. A qualitative test showed the presence of carbonic acid and the absence of water. Doubly terminated quartz crystals are not uncommon. The list of minerals from this mine so far identified is lepidolite, tourmaline (black, green, pink), amblygonite, orthoclase, muscovite, quartz, kaolinite, halloysite, garnet, plagioclase feldspar, bismuth, bismuthinite and bismutosphærite. At the spodumene mine the following minerals have been identified: tourmaline (black, pink, blue, blue-green), spodumene, lepidolite, beryl (pink), quartz, muscovite and orthoclase. 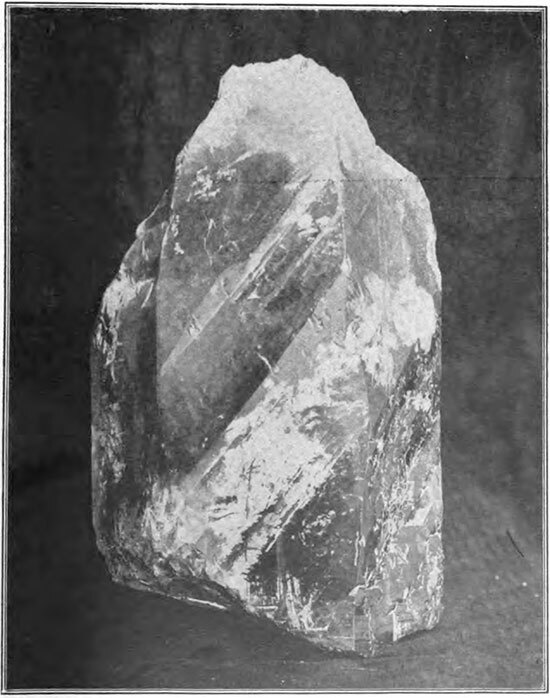 Very pale green, colorless and lilac-colored spodumene has been found in the mountains a few miles east of the mine. 2. The Mesa Grande district is the most important one for tourmalines. Two mines, only one of which was accessible to the writer, are situated here, both being located on the same series of pegmatite dikes. The country rock in which these muscovite-granite dikes occur is a diorite. In the mine visited three such dikes are being followed, only one of which is at all rich in tourmalines. The dikes, only a few feet in thickness, dip southwest at an angle of 45° and are usually not much decomposed. Sometimes, however, the granite has become altered to a red clay and then this is carefully searched for loose tourmalines. Lepidolite is not abundant and is usually rather coarse. Muscovite, with a lepidolite border, is of frequent occurrence. Several fine crystals of lepidolite have been found in this mine, one complete crystal measuring 10 mm. across the base and having a height of 6 mm. The tourmalines are mostly pale pink, though some red ones of good color, as well as green ones, have been found. Several good achroites have also been found, one in the possession of the writer measuring 35 mm. in length and 14 mm. in thickness. Besides the minerals mentioned above, quartz and orthoclase in large, complete crystals are found here. Garnet and beryl occur in the immediate vicinity. 3. The geology of the Oak Grove mine is similar to that of the other localities. Some of the cut tourmalines from this mine are exceedingly brilliant. Several fine yellow tourmalines have been obtained here. The minerals occurring at this mine are the same as those found at the Mesa Grande mine. 4. The Cuahuila locality is similar to the others, and the list of minerals found here includes tourmaline (pink, green, blue, blue-green, smoky, colorless, yellow and black), spodumene (the amethystine variety), beryl (transparent pink crystals, one measuring 110 x 75 x 65 mm. and weighing 850 grams), lepidolite, pink andalusite, muscovite, orthoclase and quartz. The field is certainly a very interesting one and is well worth further study. Many of the minerals occur in good crystals having rich combinations of forms, and the color of some of the specimens suggests interesting chemical possibilities. It is probable that with further exploration the list of minerals will be considerably increased. 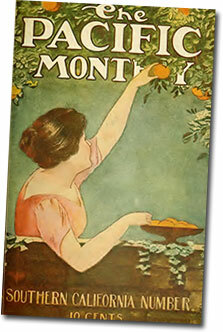 Pacific Monthly, September 1905, pp. 291–294. All photos from original article. Tourmaline has been discovered in San Diego County, California, in quantities making it well worth while mining. It is attaining high commercial value and the securing of it is becoming a profitable business in the districts in Southern California in which it is found. Tourmaline is remarkable for the number and variety of the elements of which it is composed. No other gem stone has such a variety of colors. The tourmalines of San Diego County are noted for their color groupings as they are for their hardness and brilliancy. 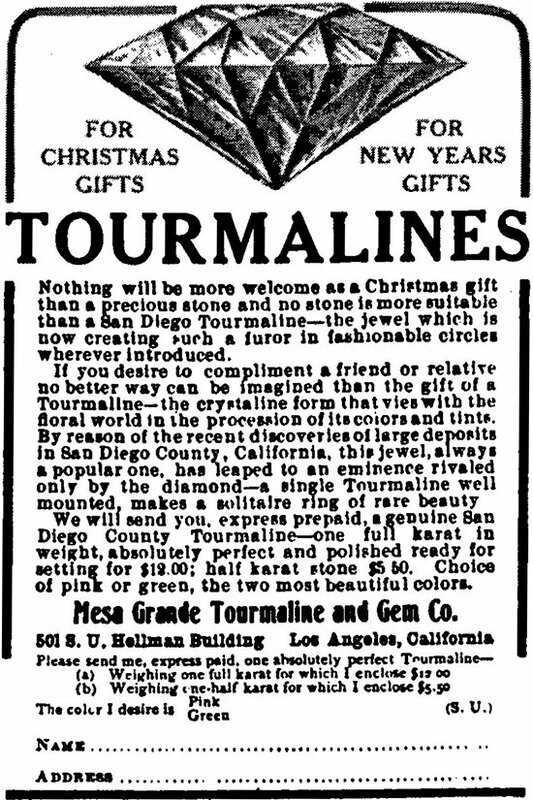 This peculiar brilliancy of the tourmalines found in San Diego County has rendered them superior as gem material to tourmalines found in any other locality. It is now reported upon good authority that San Diego County within the next three years will be producing 95 per cent of the tourmaline of the world. At Mesa Grande, San Diego County, crystals are found in a quartz and granite formation. The mines of this district are producing gems of great value, and Mr. C. O. McCarroll of Mesa Grande is supposed to have discovered the largest individual piece of tourmaline in the world. Largest known piece of Tourmaline found in San Diego County, California. Prince Henry of Prussia recently purchased for $30,000, through an agent, a wonderful tourmaline which the original finder, Wesley Wright of Bethel, Maine, formerly found kicking about a country road. Prince Henry saw it on his American tour and mentally resolved to purchase it if it could be bought. The large gem found by Mr. McCarroll weighs not less than 14,880 carats. Unfortunately the coloring is not so desirable as the one purchased by Prince Henry. It is remarkable, however, for its large size, and without a question of a doubt other large gems will be found on the same property. A perfect tourmaline gem of a green color slightly tinged with blue and weighing sixty-eight and a quarter carats was procured by Tiffany & Co. for a large price. This gem may be classed as the largest green tourmaline in the world, which has been cut and polished and its value is difficult to estimate. The first discovery of tourmaline was by some children in Holland, who were playing near a stream which, by forming an eddy, deposited the washings of a mineralized region. Tourmaline was later reproduced into jewels and a number of fine gems were found in this locality, but no great mine was discovered. Professor Orcott, who discovered lythia in the same locality and also springs which were highly impregnated with lythia water, thought of securing this mineral for commercial purposes, and in this way a few tourmalines were found. Mr. Frank Wright secured some of these gems and sent them to Tiffany at New York to have them cut. After examination by Tiffany a few good stones were cut and pronounced tourmalines of the highest quality. At the present time three large properties are being extensively worked at Mesa Grande, San Diego County, and these mines are furnishing the trade with the tourmaline which is on the market today. One of the properties comprises something like eighty acres, and is in the charge of Mr. J. Goodman Braye. Mr. Braye is known as the Tourmaline King, a title that he gave himself. Large quantities of gems have been mined on the property. Perhaps the largest tourmaline property in the world, and certainly the largest in San Diego County, is the one known as the Mesa Grande tourmaline mines. This property is in charge of Mr. McCarroll, and it is on this property that the large piece of tourmaline was found. The land itself is a picturesque locality in San Diego County. 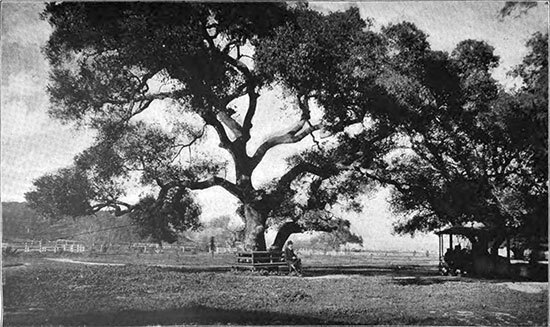 A magnificent view of the Pacific can be had; it is wooded with umbrageous trees of live oak and white oak and a number of never failing springs, three of which contain lythia. 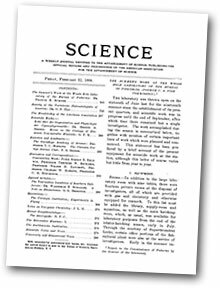 An article originally published in Mining and Scientific Press, June 11, 1910, pp. 864–865. Official statistics of American gem mining place this industry almost in a ridiculous light, giving the value of the product at somewhere in the neighborhood of $300,000 annually. It is believed that there is more than one American gem mine that produces gem materials of a greater value, just as they come from the ground, than is credited to all the gem mines in the country. 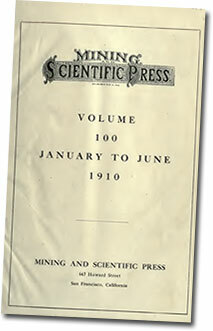 This discrepancy between facts and official figures is not due to any lack of diligence on the part of representatives of the Geological Survey, but must be attributed to the refusal of the gem-mining companies to give out accurate information, or, in some cases, to supply any information at all. They fear that statistics showing the real magnitude of their output would cheapen the product: that if the public were informed as to the large quantities of certain gem materials that are taken from the ground annually, it would expect to buy them at much lower prices than now prevail. The same fear that the people will get to know too much leads most gem miners to make of their mines ‘dark secrets’, so that visitors are unwelcome, and picture taking sternly interdicted. It is not at all inconceivable that a more liberal policy on the part of the gem producers would be rewarded by more liberal treatment at the hands of the people. The American public likes to buy things that it knows something about; and if American gems are ever to become popular it will be necessary that the producers gratify a legitimate desire for information as to where they come from and how they are obtained. The three leading gem materials produced in this country are sapphire, turquoise, and tourmaline. Probably the greatest sapphire mines in the world are located on a branch of the Judith river, in Montana, but the output is all shipped to London to be cut, and no reliable information is ever given out as to the amount. The largest of modern turquoise mines are operated in New Mexico and California; and the world’s greatest tourmaline mines are located in San Diego county, California, but secrecy is maintained as to the amount and value of the output. It may be perfectly true that this is the business of no one but the mine owners, but too much mystery is not conducive to popularity. Several years ago George F. Kunz, of New York, America’s most famous gem expert, stated that it was quite possible that California might soon be known as one of the greatest gem-producing countries in the world. He pointed out that the tourmaline, spodumene, rock crystal, and other gems of the State have been better known to the people of Russia, Spain, Germany, and other countries of Europe than to Californians, and that these gems are better represented in great museums of New York, Washington, London, and Paris, than in the State Mining Bureau of California, or the State University at Berkeley. The most beautiful of all California gems is the tourmaline, pronounced by Max Bauer, the celebrated German mineralogist, to be the gem that most nearly resembles the diamond. It is only within recent years that tourmaline has been used to any extent in this country by jewelers, and even yet it has not reached the popularity to which its beauty, its rarity in nature, and the low price at which it sells (as compared with other gem materials of inferior merit) entitle it. Not even the diamond exceeds in beauty the carefully cut and appropriately mounted gems of this variety sometimes seen in rich shades of pink, ruby-red, and blue, selling at a fraction of the cost of stones of far smaller merit. From the July 1906 edition of The Pacific Monthly. The original discovery of tourmalines in California is said to date back to 1872, when several specimens were found on Thomas mountain, in Riverside county. The Columbia gem mine was later located near the spot where these stones were found, but development has been hampered by litigation. Other discoveries have been made from time to time in the San Jacinto range, and a number of mines have been opened. Most of the specimens shown in the windows of local jewelers and lapidaries, of opaque pink tourmaline embedded in the rock, with a large number of small crystals radiating from a common centre, come from the Pala district, in San Diego county. Years ago an Indian named Vensuelada called the attention of white men of the neighborhood to the peculiar formation, and soon thereafter an old miner and prospector named Henry Magee located the property as a quicksilver mine, thinking that the pink crystals must be cinnabar. He sent samples to various chemists, none of whom were able to identify them, although they assured him that they contained no trace of quicksilver. He abandoned the claim, but it was not long until it was again located by Don Tomas Alvarado, a Mexican ranchman, who concluded that the odd-looking pinkish, bluish, and gray rock formation, studded with small pink crystals, must be a peculiarly ornamental variety of marble. He sent many specimens to mineralogists in various parts of the country, endeavoring to find out what his new building material was worth. Some of Alvarado’s specimens passed into a private collection in New York. Here they attracted the attention of a visiting German mineralogist, who was familiar with the lithia mines of Europe, and was struck by the similiarity [sic] of the undetermined specimens to certain lithia-bearing ores. He obtained a specimen for analysis, and was then able to state authoritatively that it was as rich in lithia as any known in the world. 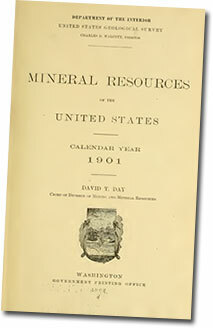 The mine is now controlled by the American Lithia Co., of New York, and is an important producer, but no tourmaline crystals of gem quality are obtained from it. However, specimens are highly prized for mineral cabinets, and for that purpose have been sent to all parts of the civilized world. Other mines have been opened in the same region, notably the Stewart, Pala Chief, Tourmaline Queen. and Naylor-Vanderburg, yielding both tourmaline and kunzite. Eighteen miles to the southwest of Pala is the much more important gem-producing district of Mesa Grande. This locality is most conveniently reached from San Diego, the San Diego & Cuyamaca railroad running back 25 miles to Foster, and a stage line from that point, through Ramona, extending 33 miles to Mesa Grande. Numerous claims have been located in the hills surrounding Ramona. Some of these have yielded fine gems, but none have been developed sufficiently to determine their value. At Mesa Grande are the Himalaya and the San Diego tourmaline mines, and a number of prospects. Accounts of the discovery of the Himalaya mine differ. Crystals have been found in Indian graves of the neighborhood of great antiquity. It is generally supposed that these came from the site of the Himalaya mine, but this is uncertain. About 30 years ago some Indian children picked up several beautiful blue six-sided crystals, and from time to time cowboys and others found similar objects in the neighborhood, particularly after heavy rains that washed away the sand and clay, exposing the shining crystals to view. Then the children of the Mesa Grande school fell into the habit of frequenting the locality to look for the baubles. These were found in all sizes, some no larger in diameter than a slate pencil, and some two inches or more across. Many were nothing but quartz crystals, clear and transparent, but others exhibited beautiful shades of pink, red, blue, and green. Sometimes the boys sold particularly fine specimens to the school teacher, or to tourists stopping at Rancho Cereza Loma (a summer resort five miles away from where the bright stones were found), and in the end some of these fell into the hands of some one acquainted with their true nature. About twelve years ago, an agent of Lippman Tannenbaum, of the Himalaya Mining Co., of New York, located the claim. Since then development has proceeded steadily until the Himalaya tourmaline mine now ranks among the world’s greatest gem-producing properties, and is recognized as the greatest tourmaline mine that has ever been discovered. The variety, beauty, and value of the gems found here are such that Mesa Grande is sometimes called the ‘Kimberley of America’. For several years, surface or bench digging was followed exclusively, but the overburden of rock and earth became too great for removal at a reasonable cost, and was subject to slides and cave-ins in the rainy season, so that underground work was resorted to. An adit has been driven into the hill for several hundred feet, following the gem-bearing vein, with several lateral branches, also in the vein. The following description of the formation is abridged from Bulletin No. 37, of the California State Mining Bureau: “Both hanging and foot-walls are of hard blue diorite, and the ledge is of fine crystallized pegmatite, dipping from 26 to 33 degrees southwest. The upper pegmatite is usually stained with lithia and manganese, and large masses of lepidolite are associated with tourmaline. The pockets are large, and filled with talc and hydrous micas, in which the gem crystals occur embedded, many showing peculiar etchings. … Among the minerals noted were orthoclase, albite, lepidolite, amblygonite, small clear pieces of spodumene, muscovite, tourmaline (black, green, blue, deep red, and rose), pink and aquamarine beryl, bornblende. and epidotic rocks, spessartite, and essonite garnet, large and very transparent quartz crystals, talc and hydrous micas, and a dark brownish transparent crystal, which has not yet been determined”. From the April 1907 edition of The Pacific Monthly. No other tourmaline mine in the world has ever yielded crystals at all comparable in beauty and value with the finer specimens obtained from this wonderful mine. Many are transparent, of the finest gem quality, in perfect prisms, singly or doubly terminated. Pink is the predominating color, but many specimens are found in matchless ruby-red, green, and blue shades. Some are parti-colored in two or more sections, the different colors being sharply separated so that gems of ordinary size may be cut, one-half being pink and the other green or blue. In some specimens the color arrangement is still more remarkable. In the interior will be a core of green, surrounded by a thin layer of white, and this in turn enclosed in red. Brazilian tourmaline crystals showing a concentric arrangement of colors have long been known, but in these the red portion is in the centre, and the green on the exterior. Operations in the Himalaya mine are remarkably simple. All the vein material is taken from the underground workings in ordinary mine cars, conveyed to the washing plant, where it is thoroughly washed for the removal of talc and mud which might obscure the gem materials and prevent their detection. Large nodules and crystals are easily picked out, but the entire mass must then be carefully sorted over by hand for the detection of small pencils and fragments. Mr. Tannenbaum’s agent at the Himalaya mine is J. Goodman Braye, Jr., an African by descent, an Australian by birth, and an American by choice. His successful career as manager of the greatest tourmaline mine in the world (and possibly the greatest gem mine in America), is sufficient proof (if any proof were needed) that the accident of race and color constitutes no insuparable barrier to achievement. On the claim adjoining that on which the Himalaya mine is situated is the mine of the San Diego Tourmaline Mining Co., which has been operated ever since 1901, and has yielded a large quantity of beautiful gem material. Here the vein material is a fine-grained pegmatite, in which black tourmalines occur in fan-shaped crystallizations. Near the centre are found pockets, in which are the crystals of gem quality. This mine also ranks well up among the great gem mines of California. It is only within comparatively recent years that tourmaline has been used to any considerable extent in jewelry in this country. In fact, until after the opening of the Mesa Grande mines there was little tourmaline of gem quality on the market. All of the output of the Himalaya mine is shipped to New York to be cut, but that of the San Diego mine is cut in San Diego, where a number of skilled lapidaries are constantly employed. There can be but little doubt that as this beautiful gem material becomes better known it will gradually grow in popular favor until it takes first rank among American gem stones. The hardness of tourmaline is variable, usually being 7 or 7.5 in the scale in which the hardness of the diamond is 10. However, it is said that specimens at Mesa Grande are often found with a hardness of 8. Tourmaline is defined as ‘A complex silicate of alumina, boron, magnesia, iron, and alkalies (soda, potash, lithia), with small amounts of water and fluorine’. Different names are given it according to its color.